As a mother of two young boys, I try to remind myself of the above words daily. My youngest son was born with a chromosomal anomaly and his life has been filled with specialists, teachers, therapists and doctors of all kinds. Since his third birthday, he has been in a special education classroom with children whose needs are similar to his own. However, in the last six months, he has progressed so much developmentally that it was recommended he start kindergarten this fall in a regular education classroom. At first I resisted this. I felt he wasn’t socially ready for a less-insulated environment. Then over the summer, as I sat nervously watching as he introduced himself to child after child on the playground without a trace of fear or apprehension, I saw it was not him who wasn’t ready. It was me. Through my spiritual practice, it has become second nature for me to honor the individual paths of those around me, understanding I have no way of knowing what is best for someone else. I love the freedom I feel by allowing others to be whom and what they are. Being the open space while listening to another talk through their circumstances and choices is a gift to both the listener and the speaker. It feels like love to be unattached to a particular outcome for someone. Yet, this way of being can often elude me when it comes to the lives, choices and paths of my children. The world seems to tell us that “mother (or father) knows best” and while this can be true in many instances, it’s easy to forget that I do not always know what is best for my boys, even as young as they are. It would be nice to have a clear picture of the choices in a given day that should be mine versus theirs to make. Some are easy to discern and others, not so much. The best way I find to navigate this is through the silent recognition of each of them as a brother of my soul. I try to find moments to look in their eyes and silently acknowledge the eternalness of their beings and their unbreakable connection to God. Similar to the way in the Yogic tradition one bows and says, “Namaste” — the Divine in me recognizes and greets the Divine in you — to another. When I do this, a space opens in me. I remember that just as I have been sent with a purpose and a plan to fulfill that purpose, so, too, have my boys. I am thankful to have been the vessel through which they have come into being and so very glad to help guide them through the way of love, but I trust that it is not my job to decide everything for them. They are unique people and have come equipped from within with Spirit’s guidance. It’s my job to love and support them in learning to listen to that guidance toward independence. One way to do this is by finding a spiritual community in which they can learn and grow. 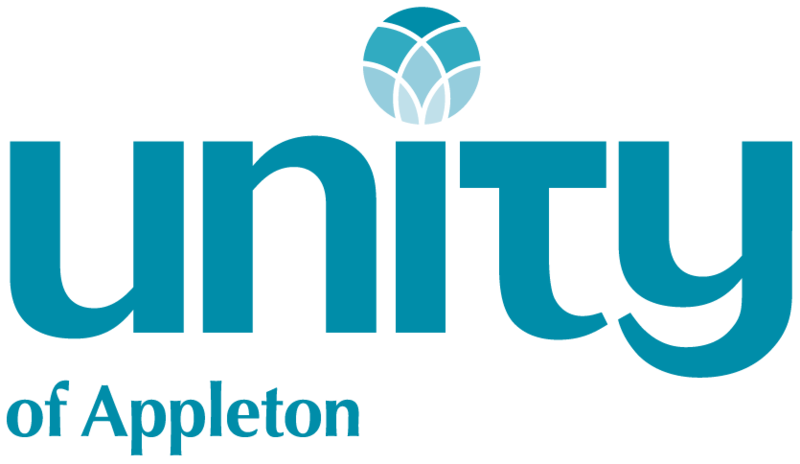 My family has found Unity of Appleton, where each Sunday we all say this beautiful affirmation together: “Unity of Appleton sees the divinity in all children and nurtures their unfolding spirituality.” The saying goes, “it takes a village” to raise a child. I would add it takes one to raise the child within too. I am nurtured through a spiritual community just as they are. In this loving, supportive environment we are encouraged to listen to the voice of the Spirit within and to walk with courage in the world. On Sept. 5, that’s what my son did as he stepped into his kindergarten classroom and what I did as I let him go.